Dyna-Ski Boats: Stories from Dyna-Ski shoppers. 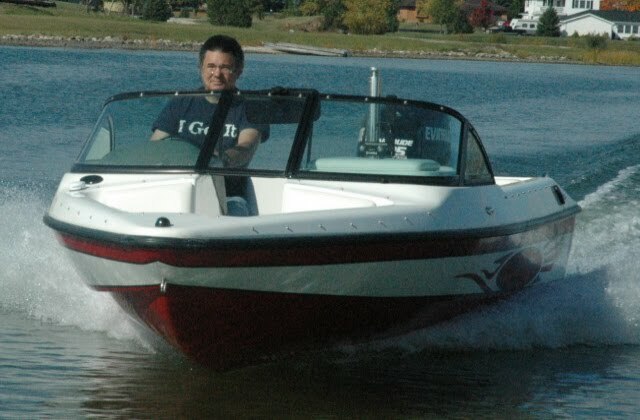 I get some interesting emails and phone calls asking about Dyna-Ski Boats. Often times the people that inquire provide some background information. I have decided I should share some of the more interesting ones from time to time. I will edit them so the person sending them won't be easy to identify. The motto of Dyna-Ski is "Buy your last boat first!" It seems that few if any owners of Dyna-Ski Boats sell their boats so you will seldom see a used Dyna-Ski or even the much older Hydrodyne outboards "for sale" so this must be working. I also get some inquiries for used Dyna-Ski Boats or "left overs". Since all Dyna-Ski Boats are built to order there are seldom any boats in stock or left over from a previous model year. I do try to keep one of each model or demo boats as we call them available for people that want to try one. I don't like to sell demo boats during the boating season unless we have time to build a replacement right away so don't be surprised when I won't sell you a Dyna-Ski Demo. I've owned a used Bayliner inboard/outboard with the stern drive and have promised myself I'll never buy another inboard/outboard since I had to replace nearly every component on that boat. I ended up selling it while it was running well as I knew (from experience) that soon something else would break requiring another expensive repair. I used that boat for skiing, wakeboarding, cruising and tubing. Now that I've been boat less for a few years, I'm ready to buy another and have been searching for an open bow wakeboard boat with an outboard when I came across the Dyna-ski ad. I've read some of the literature and noticed for wakeboarding you need to add weight to the aft end to increase the wake. I'd like to understand more as I primarily want to use the boat for wakeboarding. I can't seem to find used Dyna-ski boats . . . . . . .